One of the most refreshing parts of Sony's E3 conference was the moment that eight indie developers got on stage to show the PS4 games they'd been working on, and Sony is now continuing to push that approach with the PS Vita. Today it is launching a dedicated indie gaming channel for the handheld - the same one found on the PlayStation 3 - as it continues to up its efforts to offer alternative means of publishing for other developers. And in case Sony's dedication to indie gaming isn't obvious yet, it posted a blog post announcing the rollout of the new channel and a video demo alongside. 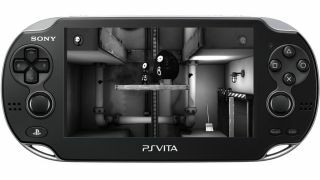 "At PlayStation, we're proud to support indie development, and our unrestrictive policies make it easier than ever for developers to launch games on PS Vita," said Sony Computer Entertainment America's Don Mesa. Ultraviolent neo-noir romp Hotline Miami is kicking things off, available on the PS Vita and PlayStation 3 from today. But Sony promises that "a wealth" of other titles on their way. "We recognise that the unique perspective that indie developers deliver contributes to the success and future of the gaming industry," added Mesa. Sure, the PS Vita has the power, but it's still lacking on killer games. Might this move tempt the buyers who have so far been put off by a lack of titles? It's certainly a step in the right direction.